New Build Properties Vs Existing Properties - Which is better? New Build Properties Vs Existing Properties - Which is better? Should you buy a new build property or an existing property? What are the pros and cons of each? That is what we are going to be covering in today’s episode. New Builds versus Existing Property. Should you buy a new build property or should you buy an existing property. What are the pros and cons of each. That’s what we’re going to be looking at in this video. Hey! 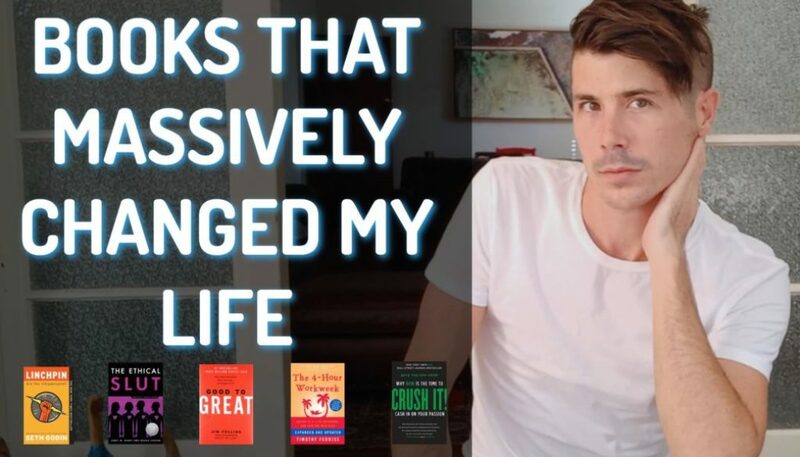 I’m Ryan McLean from onproperty.com.au, your daily dose of property, education and inspiration. There’s a lot of umming and arring of people in the market, whether they should look into new build properties that are available or they should simply look at the existing market at the moment and purchase a property that already exists. 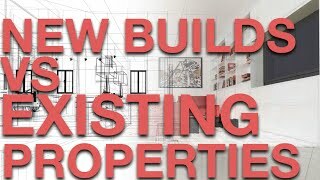 So in this video I’m going to go through the pros and the cons of new build properties and I’m also going to look at the pros and the cons of existing properties to help you decide what’s right for you and what’s right for your strategy. So let’s start with new build properties and we’ll look at the positives of new builds. So the first positive of a new build property is that you can design that property the way that you want it. This is especially enticing if the new build property is going to be your house. You know it’s a different situation if you’re purchasing this solely as a new investment, then it’s more of a numbers game, versus if you’re purchasing this for your house. And so if you are purchasing it for your house, obviously it’s going to be exactly the way you want it. It’s going to be very desirable to you. So that’s a massive positive. Another positive is that you can get depreciation benefits as an investor because the building structure is new. And because all of the fixtures and fittings in the building, they’re all brand new, you can get large depreciation benefits which means if your property is negatively geared, it can help flip it into positive through tax refunds. Obviously, speak to your accountant about that sort of stuff. 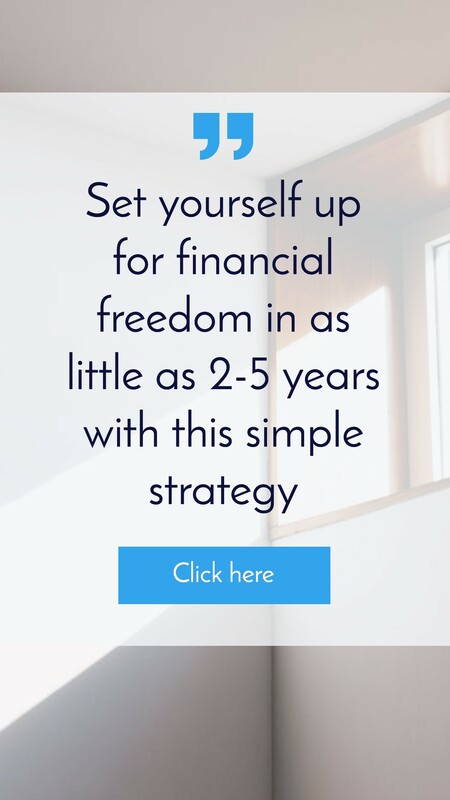 And the if it’s positive cash flow then it can help you save on tax because you can claim that depreciation against the income that you’re generating from the property. Another benefit of positive is that you can design your property to appeal to the market. So if you do your research property.. properly, you can say, “Okay, well who am I trying to rent this to? Or who am I trying to sell this too?” And you can design it specifically to them. If it’s families and they want 4 bedrooms and 2 bathrooms, then you can put that in. 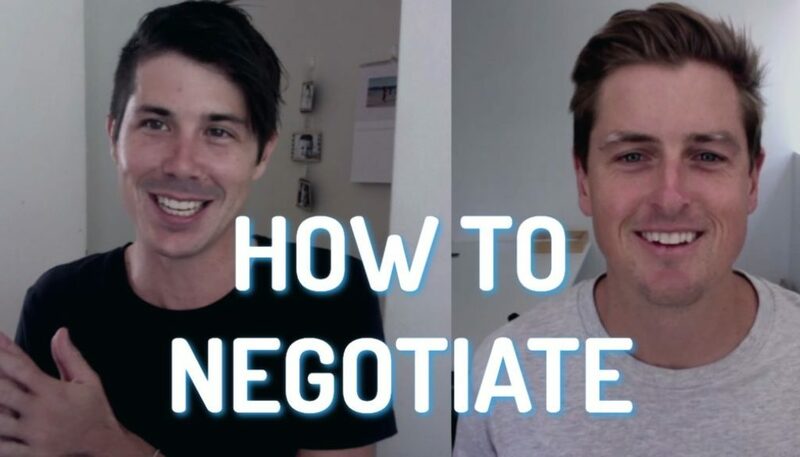 And so you can know in advance what does the market want and you can design the perfect property for that market which can increase your rental yield, or get you better renters and also get you a good sale price as well. Another positive of new build properties is that you can sometimes get instant equity from the property. If you know what you’re doing and if you are buying smart, and you’re buying the land correctly and you’re designing and building the right house at the right cost, then you can generate instant equity. I guess the goal of any new build should be that you can buy the land and build the property for less than what it’ll cost you to build that house if it already existed. But what about the negatives of new build properties? Because there are some negatives out there. The first negative is that new build property is often overpriced for the market. Now it depends on how you go about buying your new build property but often these are marketed to you by property marketers or by people who sell these for a living. And they need to make commissions, and they need to make margins on top of that. So you add in the land, and you add in the builders’ margin, and then you add in the margin for the salesperson as well. And then often the properties end up being overpriced for the market. An easy way to just double check this is to simply look at existing properties in the market right now. What are existing properties worth. And what are they selling for. And can I buy an existing property for cheaper than it’ll cost me to build one. So that way you can say what really, what is the market value for each property and make sure you don’t pay too much for house and land package or unit or something like that, that’s off the plan. 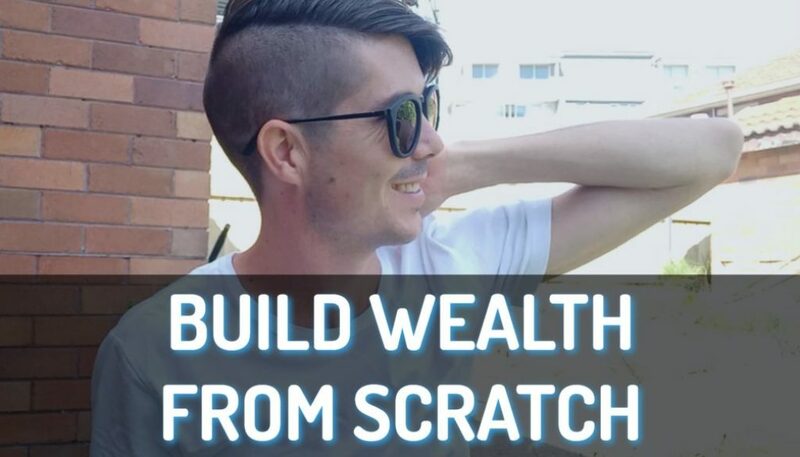 Another negative is that you don’t get any income while you’re building. A lot of people don’t think about this, in that, you know, the building may take multiple months, 6 months, 9 months, I don’t know how long it’s going to take your particular building. But while this is going on, you’re making payments. So once the slab is poured, you need to pay for that. And then once the frame’s up, you need to pay for that. And so you’re making these payments and your mortgage is consistently growing as you’re getting towards the end of the project and that means that your interest repayments are growing as well. But you actually have no income coming in while this is building. So you’re going to be paying a mortgage without having any income coming in or if you’re building it for your own place for you to live in, then you’re going to be paying rent or your other mortgage and you’re going to be paying this mortgage so you have double payments for a while. Another negative is that new releases in the area can stunt growth. The problem with new builds is often it’s an entire area that gets released and so your property is competing with new releases in the area that are either newer than your property or that look exactly the same as your property. So it can be harder to get that capital growth and to get that, you know, exciting sales price. Another negative is that cost could blow out. There’s a lot of builders out there who quote things but they’re not completely honest in their quote. Sure the quote’s legal but they’ll say, you know, $15 per square meter for tiles, but then it gives you selections for 3 potentials tiles versus if you went to the shop and looked at all these tiles yourself. Some builders don’t quote driveways or flooring or landscaping. And so there’s a lot of costs that generally aren’t put into the house and land package or the building quotes. So you need to go over that with a fine-toothed comb to make sure that you don’t have all these hidden extra costs and you do also need to be aware that things can happen, things can go wrong and cost could potentially blow out. Alright, so that’s a look at all the positives and negatives of new build properties. Let’s go in and have a look at existing properties and their positives and their negatives. So I’m going to look at existing property, the positives of those first. The first thing that I like about existing property is there is the potential to buy at or below market value. Now this isn’t going to happen by, automatically. It’s not going to happen by you just purchasing property but if you do your research, if you take your time, there are deals to be found where you can buy properties below market value. And there are a lot of deals out there where you can buy at market value. So you make sure you’re not overpaying for a property. Another thing that I like about existing property is that you get about almost instant and predictable income. So if this is an investment for you, you can know before you even purchase the property, “Okay, what’s this property going to be rented for?” And you can know that as soon as you take over the property that you got a tenant ready and rearing to go. You can organize that you get early access to the property or that they can advertise the property for rent before you own it. So you can have a tenant move in basically the day you take over the keys or sometimes even potentially before that. So you can get instant and predictable income on these properties. And unlike new build properties where you need to wait and you need to pay your mortgage until the property is fully built. This property is already built so tenants can move in right away. If you want to find out more about how to estimate, what a property is going to rent for, or how to work out whether a property is going to be rented or if you’re going to have trouble renting an existing property, then go to onproperty.com.au/227 and I’ve got an episode there showing you some different ways that you can research the area to make sure your property is going to be rented. Another positive of existing properties is that you can create growth through renovation or through other means like subdivision or development and stuff like that. So you can take an avenue where you find a dilapidated property or a property that needs some work, you can do some cosmetic renovation to that and that you can create instant equity there. We talked about with new build properties, how you can potentially get instant equity through there but there’s also the opportunity to get instant equity or almost instant equity through existing properties if you choose the right property and do renovation to it now. I’ve talked a lot with Jane Slack-Smith about renovation and you can check out her videos at the moment by going to onproperty.com.au/reno, r-e-n-o. And she’s got a great free series where she goes behind the scenes and shows you what you can do to easily renovate a property. Another positive of existing properties is that often they’re landlocked. So around your local area, generally there’s not a lot of land available. If you go into Sydney and you’re trying to buy a block of land, you’re going to find it very difficult to find blocks of land. However if you’re buying in a new build area, there’s probably going to be lots of blocks of land around you or new releases might come up over the years. Whereas if you’re buying in an area that’s already established, well then you’re landlocked and it’s unlikely that new properties are going to be built around you and the supply and demand is going to be thrown off because there’s so much supply and not enough demand. So I do like that about existing properties. One of negatives is that you have higher maintenance expenses. I guess I could have bought a positive for new build properties is that they have little to no maintenance expens..expenses. Because everything’s brand new, it’s unlikely that you’re going to need to renovate that property or fix the hot water heater or fix the electricity or the plumbing or whatever. But with an older property, obviously that stuff has been around for years and so stuff breaks all the time. So you got higher maintenance expenses with existing properties generally. Obviously it varies from property to property. You’ve also got less choice because you can’t design the property the way you want. You can’t build it exactly the way you want. You need to choose from properties that already exist on the market. You need to choose from properties, that layout some.. might not be perfect for you. And so you have, obviously there’s a lot of choice out there because there’s a lot of properties for sale all the time. But you have less choice in choosing a property to be exactly the way you want it. Another thing is that you can’t get exactly what you want which I kinda talked about with the less choice. You just, you can’t design the property the way you want and you can’t go in and you can’t knock down walls. And it’s often very easy to rearrange the living area over property. Obviously there’s going to be an expense with that. But it’s hard to get things exactly the way you want it. And that’s obviously a benefit of building a property from scratch as you can design it from the ground up to suit you and your needs. With an investment this is less important because it’s more about the numbers and you want to get capital growth and positive cash flow. But if you’re purchasing as a home, then this is a consideration you need to take into account. And the last negative that I’ve got for existing properties is that there’s often hidden problems with existing properties if you don’t do your due diligence out front. You can get problems with the roof, over the stumping or the foundation or mold or dry rot. There’s so many different things that you need to look out for with existing properties that if you don’t do due diligence you can have hidden problems that are expensive problems. So always get a building and pest inspection and go through the property with a fine-toothed comb. Just a.. try and minimize the chances of you having hidden problems. Obviously they can still come up but if you take the right steps and do all your due diligence then the chance of it happening is actually pretty slim. So what do you think? Do you want a new build property or do you want an existing property? What do you think is better as an investment strategy? What do you think is going to be better for you for buying your own home? Look at it at the end of the day, the different strategies; one is not good while the other is bad. There’s positives and negatives to both as we’ve looked at. So you need to go and think about it yourselves. Think about what you want to achieve financially through property. And then work out which type of property is going to suit you and help move you towards your financial goals faster. 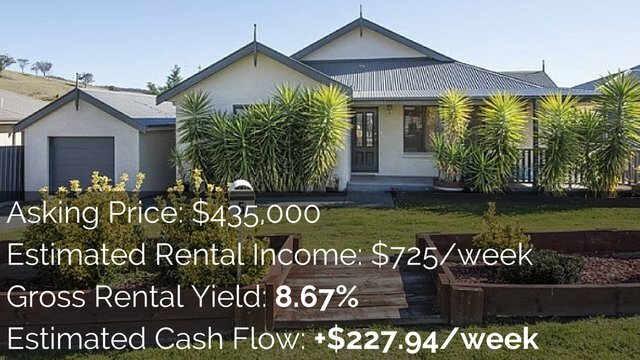 If you’re interested in investing in positive cash flow properties then you can check out some free high rental yield property listings that I have for you. 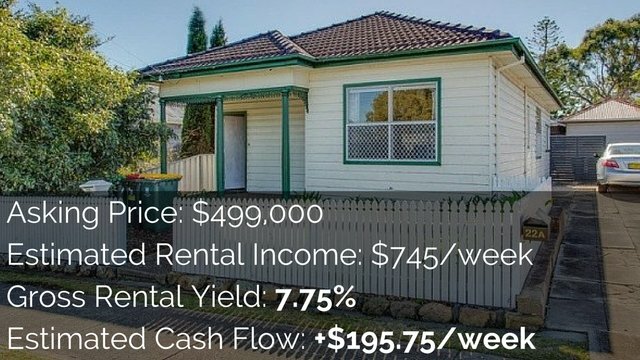 I’ve got 10 high rental yield properties from all over Australia that I’ve gone out and found for you guys. And you can check out those listings by going to onproperty.com.au/free to get access to them over there. Okay guys, until next time.